Capture. Plays in your core. 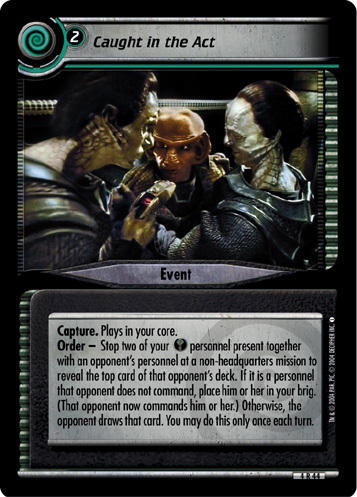 Order - Stop two of your personnel present together with an opponent's personnel at a non-headquarters mission to reveal the top card of that opponent's deck. 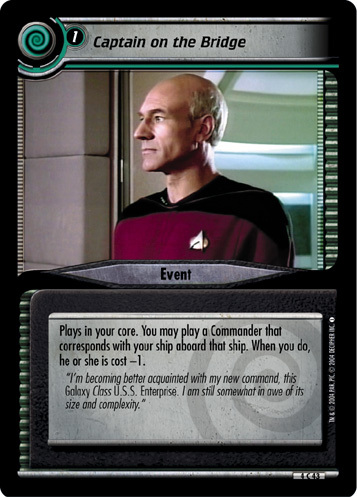 If it is a personnel that opponent does not command, place him or her in your brig. (That opponent now commands him or her.) 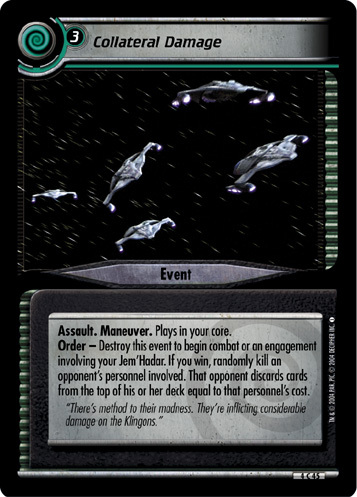 Otherwise, the opponent draws that card. You may do this only once each turn.